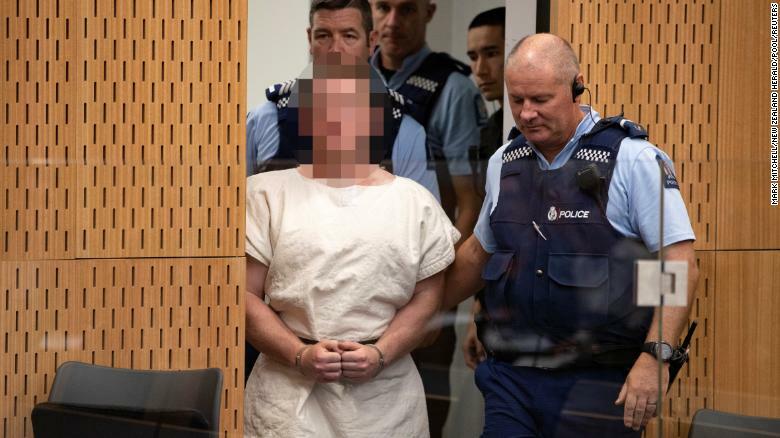 The man charged with murder in connection with the mass shootings at two mosques in New Zealand that left at least 49 people dead appeared in court Saturday. Tarrant is escorted into Christchurch District Court on Saturday. The judge ruled pictures of the suspect in court must have his face blurred. While Tarrant is facing only one charge, New Zealand Police Commissioner Mike Bush said additional charges are forthcoming. The suspect is an an Australian citizen who was living in the southern city of Dunedin at the time of the attack, Prime Minister Jacinda Ardern said. Dunedin is about 225 miles from Christchurch. Tarrant was one of three people arrested in connection with the shootings. The other two remain in custody but their role in the shootings remains unclear. The unprecedented attack, which was apparently broadcast live for a time on social media, shocked the usually peaceful nation. Ardern labeled the carnage a terrorist attack and has vowed to change the country’s gun laws as a result. The shooter, who had a gun license acquired in November 2017, carried out the killings with two semi-automatic weapons, two shotguns and a lever-action firearm, Ardern said.